Product prices and availability are accurate as of 2019-03-25 04:17:34 EDT and are subject to change. Any price and availability information displayed on http://www.amazon.com/ at the time of purchase will apply to the purchase of this product. 95% polyester, 5% spandex Calvin Klein low-cut athletic socks. 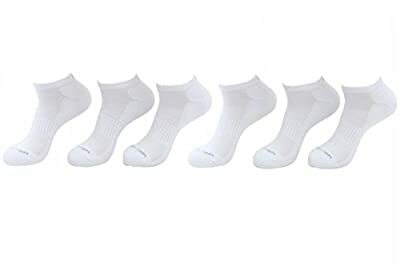 Pack of 6 "CK" on the back of each sock Fits mens shoe size 7-12 Machine wash warm. Do not bleach.